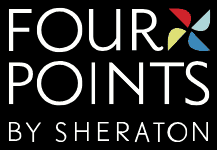 You’re invited to join us and the Greater-Irving Las Colinas Chamber of Commerce for a Ribbon Cutting Celebration and Networking Mixer for Four Points by Sheraton DFW Airport North! Don’t miss out on this great networking opportunity to mingle and make connections. Drinks and appetizers will be served! The celebration will be Mardi Gras Themed! Learn more at www.FourPointsDFWAirportNorth.com .